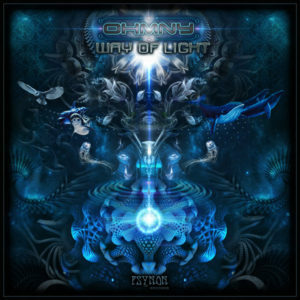 Psynon Records is proud to present Way Of Light by Ohmny, the result of years of hard work and dedication to develop a production level that stands out and to create a unique and distinct sound. This is a deep psychedelic trip made up of multiple layers of atmospheres, interwoven with deep and powerful bass lines. The energy of each track will leave any dance floor floating, taking you on a journey through obscure landscapes into another dimension and an enlightened spiritual trip. All tracks written and produced by Helder Gonçalves. Mastered by EVP @ Wild Mastering. Artwork by Geo-matrix Design. Released in 2017 by Psynon Records. For bookings please email [email protected]. Psynon Records is also found on Bandcamp, Facebook, and SoundCloud. MP3 Download | FLAC Download | WAV Download · Download count: 4,951. KILLING BASSLINE AND OFF MAN SOUND.